The training quality depends on the requirement of its teaching. This course is open to students with a bachelor’s degree and is a full-time diploma (Bac +5). 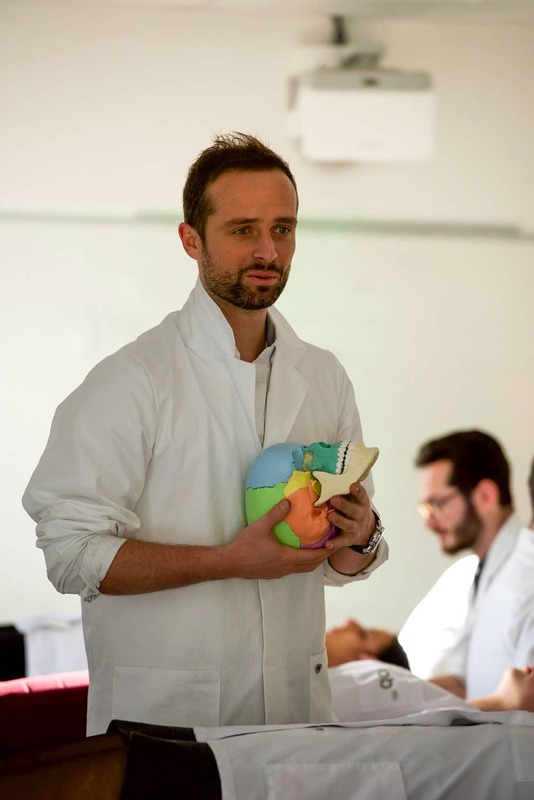 Our course is divided into 3 main educational methods: Magistral Courses, Tutorials and Clinical Practice. We want to offer progressive training to prepare the therapist for all situations. 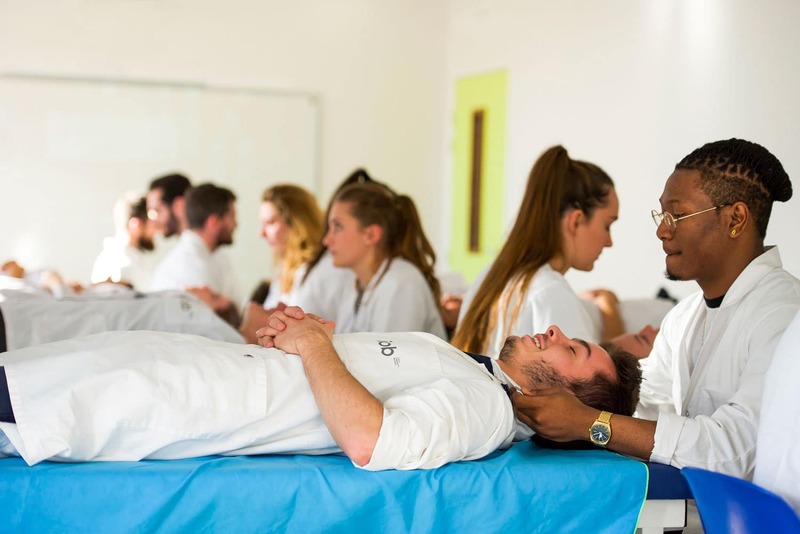 Thus, the fundamental knowledge and theoretical knowledge of Medicine represent a major part of the first years of study (31% of the training). Gradually, the magistral courses give way to the tutorials, internships and Clinical Practice (69% of the training). 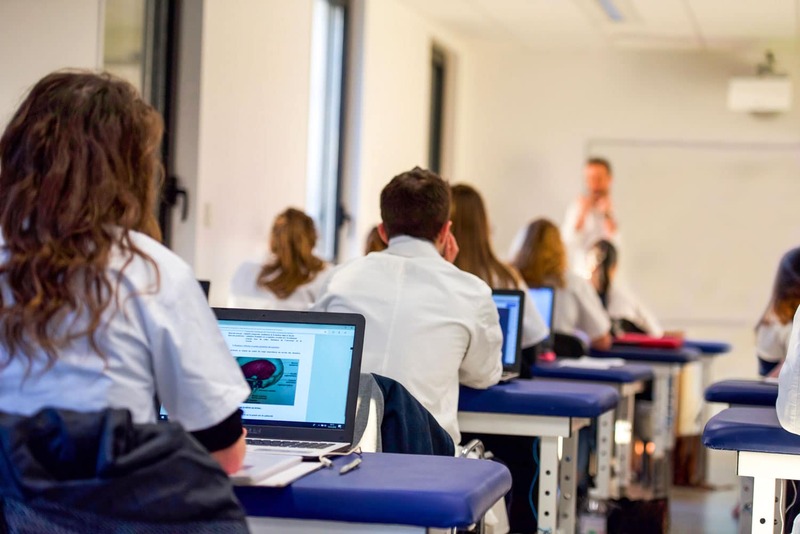 With 40% of Magistral Courses and 60% of Practical Work, we offer you the best tools to succeed in your studies and become a recognized osteopath. 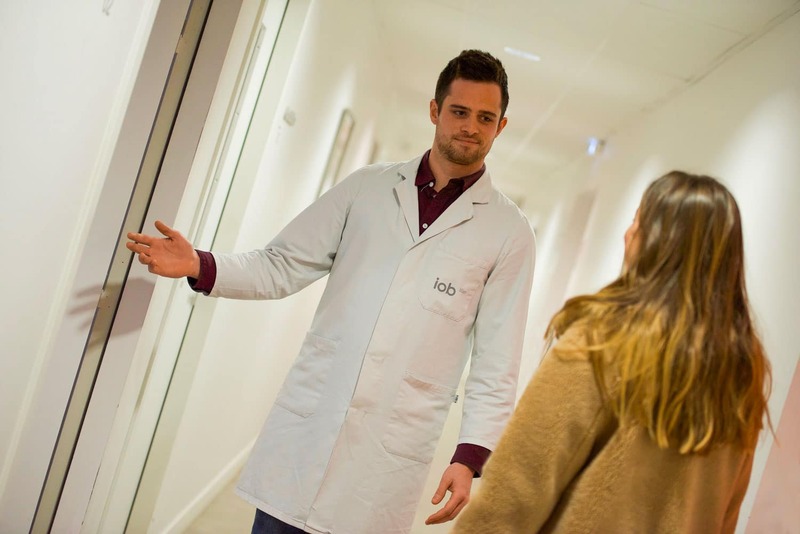 Throughout your degree, you will study subjects related to medicine applied to osteopathy. Concrete application of the basic sciences. Our pedagogical approach is to promote the understanding of fundamental knowledge by the real application of these notions in small group work. As soon as the first year, students participate in observation courses with professionals. As soon as the third year, they receive real-life patients in the internal consultation center at the facility or in the field during events. The goal is to achieve a minimum of 150 treatments per student in the final year.